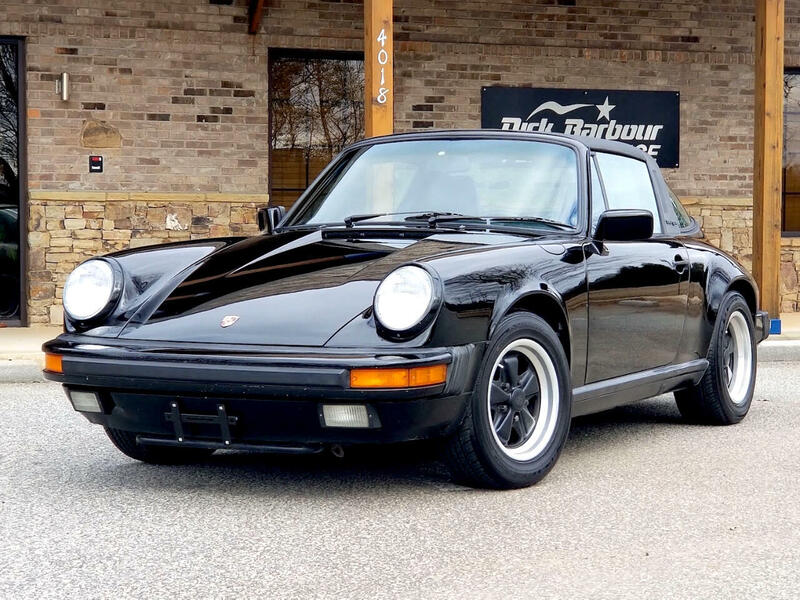 This sleek looking Black on Black Targa has spent the last decade in the warm climates of Florida and California, and the overall condition is very nice! The paint has been recently ceramic coated, and is nice and shiny! The Black leather interior is nice as well, and everything has been well kept. The car sports a modern Blaupunkt radio, which is a nice touch to keep it tastefully authentic. New Clutch Slave and Master cylinders. New Hood and Decklid Shocks. Plus other things like new interior lights, switches, etc. Also available is a page of service stamps in the Porsche Maintenance manual from 1989 - 1990, documenting the first 12,000 miles of this car’s journey, plus some service records and new owner documentation from the mid 90’s. This Porsche is a blast to drive! The motor pulls strong and the synchronized shifting action of the G50 transmission makes all the difference! This car does not disappoint! Message: Thought you might be interested in this 1989 Porsche 911.